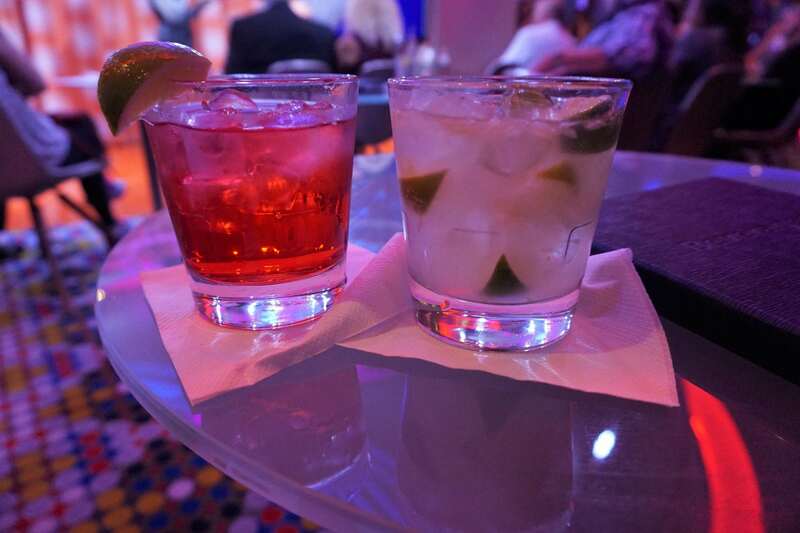 Are you wondering if you should purchase a Royal Caribbean Drink Package? You are not alone, as it is a question we get quite often from fellow cruisers. Luckily, we routinely test out these packages to see if they are a good value. 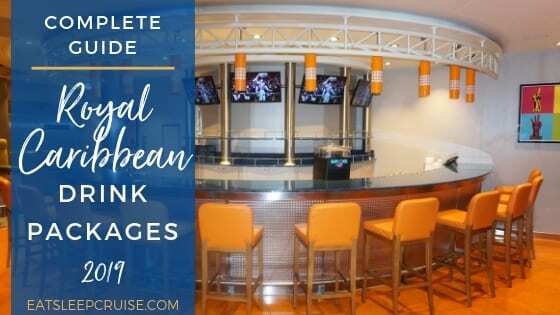 Over the past couple years, we’ve had the chance to test out the new Royal Caribbean Drink Packages on several different sailings including Oasis of the Seas and Harmony of the Seas. 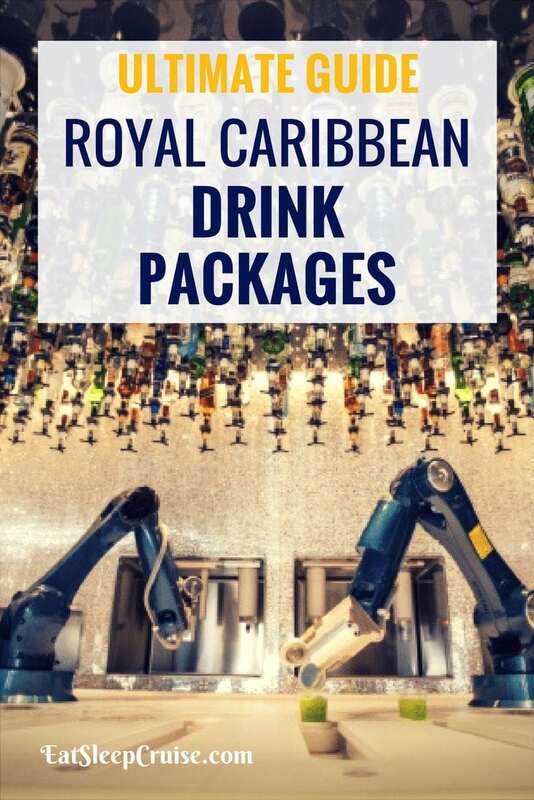 For us, the Royal Caribbean Drink Packages have always been a good deal, making our cruise more hassle free and saving us some money in the process. Thus, we have put together this post to help you decide whether the drink package is right for your next cruise. There are a few basic things you need to know about the drink packages before we dive into the details of each option. -Each drink package is priced per day, per person and must be purchased for the entire duration of your cruise. -An additional service charge (18%) will be added to the total purchase price of a drink package at checkout. -You can purchase the drink package online pre-cruise or once onboard during the first few days of your cruise. -Beverage packages are non-refundable and non-transferable. -Both guests in the stateroom do have to purchase the package. -The package covers beverages purchased at onboard restaurants, bars, and lounges. It also works on the cruise line’s two private islands, Coco Cay, Bahamas and Labadee, Haiti. -You are allowed to get one drink at a time, whether it is alcoholic or non-alcoholic. In addition, you must show your sea pass card (or Wow Band) every time you order a beverage. -The Royal Caribbean Drink package is “unlimited” for the duration of the cruise. Although, do consume responsibly as the company has the right to deny you service if you are intoxicated. The Classic Soda Package is a popular choice for families with children. As of 2019, adults and children now pay $12.99 (plus gratuity) to enjoy unlimited amounts of soda from the bars and restaurants onboard the ship and at the private islands. This does not include cans of soda or soda ordered through room service. When you purchase this plan, you get a souvenir cup that can be used at such locations. Do not lose this cup, as you will be charged an additional $9.95 for a new one. 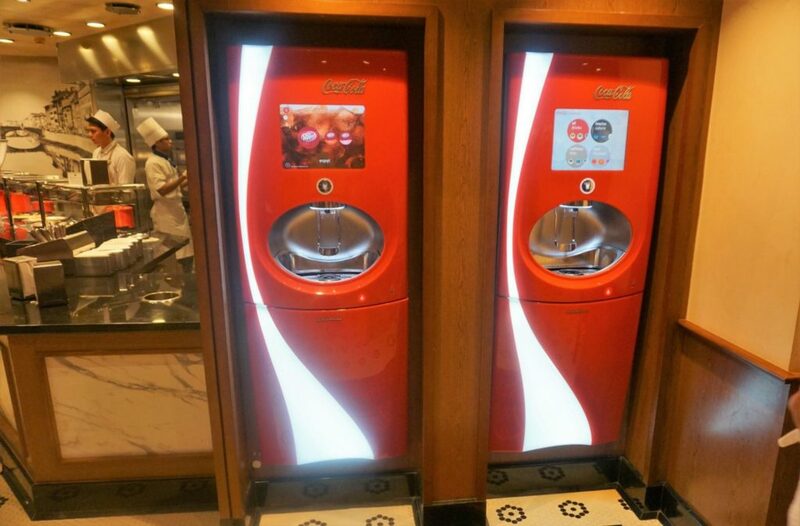 Many Royal Caribbean ships are outfitted with Coke Freestyle machines. Therefore, you can make your own crazy soda concoctions using your souvenir cup if you purchase this package. Note, only those with souvenir cups can utilize the Freestyle Machines. You cannot purchase a drink at these machines. Soda is priced around $2.50, meaning that you will need to drink about six servings a day to “break-even”. If you want more options than just soda in your non-alcoholic drink package, then the Royal Refreshment package might be right for you. In 2019, the Royal Refreshment package will cost cruisers $29 per person, per day. Once onboard, this plan gives cruisers unlimited choices of premium coffees and teas, soda (including the souvenir cup), bottled water (both sparkling and still), freshly squeezed orange juice, and non-alcoholic frozen drinks. Essentially, you can enjoy almost any non-alcoholic beverage on this package. There are only a few exclusions, such as bottles of Powerade and Starbucks purchases on Oasis-class ships. While we often get the alcoholic package, we can see how this package would be a good value for those who do not drink alcohol. 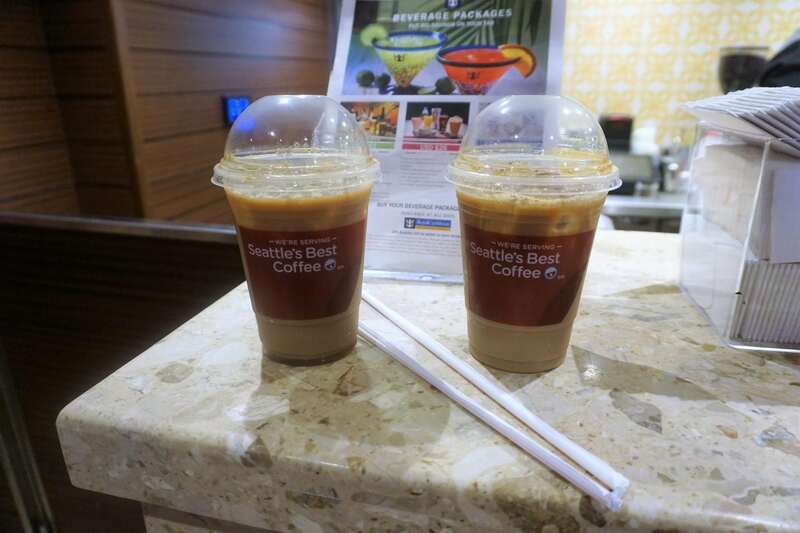 With specialty coffees priced at about $4.50, frozen virgin drinks priced around $6.50, freshly squeezed juices around $4.50, bottled water at $2.50, and $2.50 for a soda, it takes about 6-8 drinks to hit the break-even point. A few years ago, Royal Caribbean revamped the alcoholic drink packages. Now, the cruise line offers only one alcoholic package, known as the Deluxe Drink Package. Many cruisers refer to this as the unlimited drink package, as it includes essentially all alcoholic and non-alcoholic drinks. 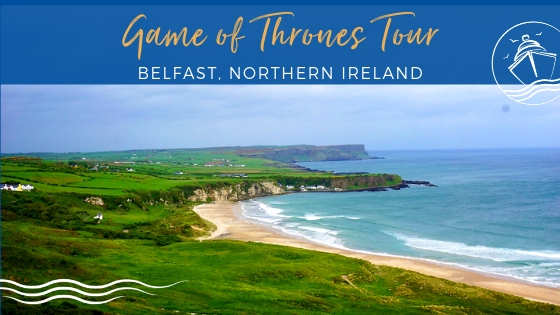 Now in 2019, the prices of this package will vary from $63 to $70 a day (plus gratuity) . Pricing will be based on the ship, with newer and larger ships charging the $70. Note, these are the “onboard prices”. 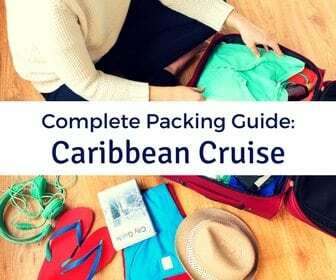 Typically, drink packages can be purchased pre-cruise using the online cruise planner for cheaper. This plan covers all alcoholic beverages, including beers, wine by the glass, and cocktails up to $12 ($13 on Oasis-class ships). This allotment covers basically all 16 oz beers on the ship and a decent selection of red and white wines at the onboard restaurants and bars. The package also includes most liquor and premium spirits. Brands such as Grey Goose, Tito’s Vodka, Patron, Johnny Walker Black Label, and Dewar’s 12 scotch are all included, as are Premium and Classic cocktails. However, the cruise line does now have Signature Cocktails, which are not completely covered in the package (See the recent bar menus). These new offerings will cost you $2 (plus service charge) above the allotment. Of note, there are very few wines on the Vintages menu that are included in the package. Classic cocktails are priced around $10, and Premium cocktails are about $12 (Prices may vary slightly by ship and/or by region.). With the average wine price on the standard menu around $10 as well, you will need to consume about 7 of these drinks a day to break-even. Beer drinkers will have to drink a bit more. With beers priced around $7, you will have to put down about 9-10 drinks a day to hit the magic number. Of course, this does not include any other non-alcoholic beverages that you may get throughout the day that are also part of the package. How Do the Royal Caribbean Drink Packages Measure Up? 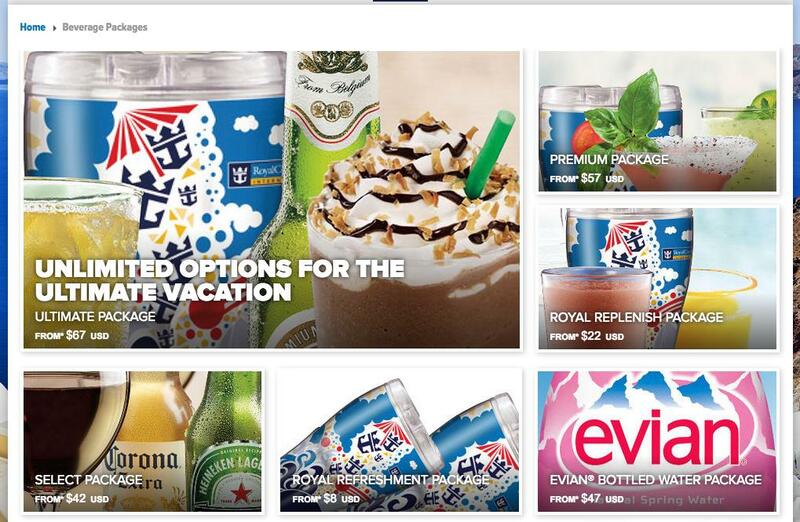 This brings us back to the original question, are Royal Caribbean drink packages a good value? Well, if you take a look at our breakdown below from a 7-night Harmony of the Seas cruise, you can see the answer is yes. We tracked all beverages consumed, per day, per drink category, to determine the value of getting the drink package. Below are the total purchases we made during the cruise, which included 3 days in port and 3 full sea days (plus embarkation day and disembarkation morning). Over the week, we consumed a total of 140 drinks (combined) for the two of us. Sixty-four of those drinks (45%) were non-alcoholic- bottled waters and specialty coffees. We averaged about 5.5 alcoholic drinks a day, which really is not hard to do if you have a few poolside drinks, dinner cocktails, and then a couple during the shows or nightly entertainment. Paying out of pocket for the drinks, the total (with the service charge) would have been $1,233.10. Onboard, the drink package was priced at $65 a day, per person ($70 effective 2019). The cost for the two of us to get the drink package on the first day of the cruise would have been $1073.80 ($1156.40 effective 2019). So, the package would have saved us about $160 ($77 effective 2019). 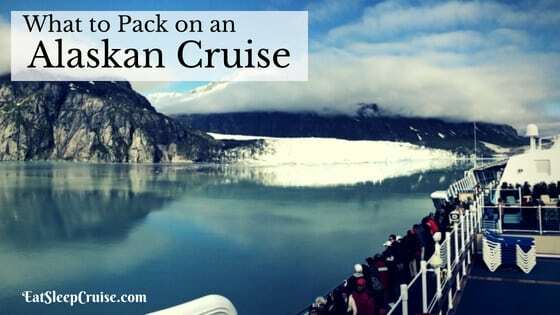 But, we actually purchased our drink package prior to cruising and saved 25% on the package. So, we only paid a total of $792.96 for our beverage packages. This meant we saved a total of $440.14 or about 35% by getting the package as opposed to paying a la carte for each drink! Ultimately, you need to know your own habits and consider the ports of call when deciding if the plan works for your vacation. 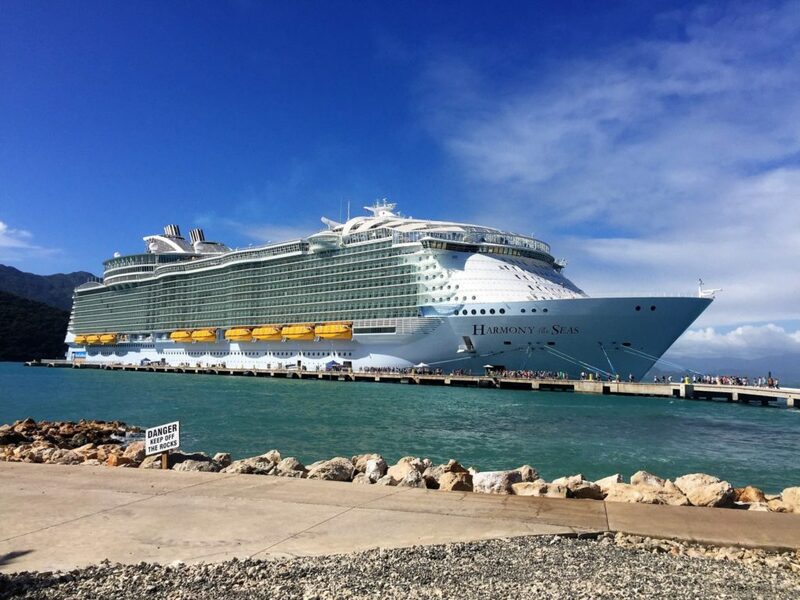 One of our stops included the company’s private island, Labadee, which meant our drinks there were also included in the plan. Who can pass up a frozen labadoozie? We also purchase a significant amount of bottled water and specialty coffee on a cruise which helps the bottom line. For us, the beverage package is a cost savings even with the new 2019 pricing. 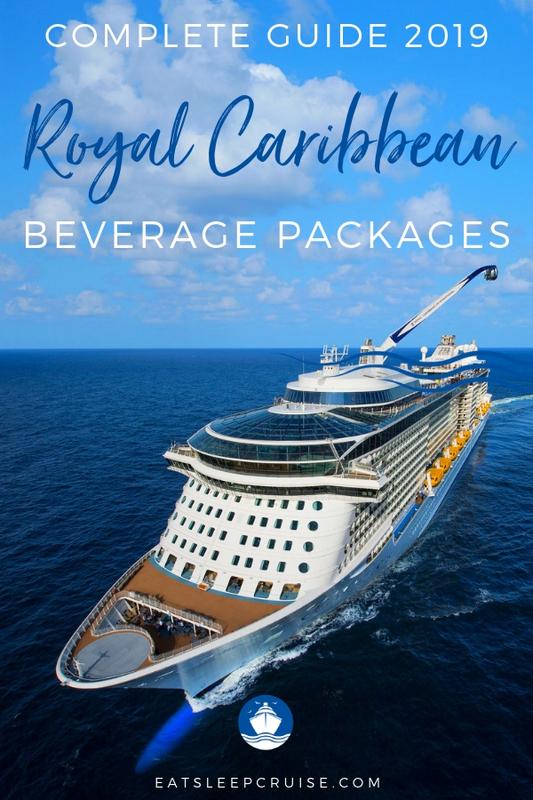 Have you purchased one of the Royal Caribbean drink packages on a cruise? Let us know your experiences with the beverage packages, whether good, bad, or a little tipsy. Drop us an anchor below to help fellow cruisers make the right call when it comes to purchasing drink packages. Great round up! We just did our first cruise (on RCL) but didn’t purchase a drink package as we don’t drink much at all. We did order the odd cocktail or bottle of wine when we felt like it though! Thanks Bethaney for reading. Glad to hear that your first cruise was on RCL, which ship? Drink packages are not for everyone, but they can be a good cost saving mechanism for those who do like to indulge in more than a few cocktails. Also, many ships offer non-alcoholic packages which include things like soda, water, and premium coffee, which are a good deal for some. Appreciate the comment. Safe Travels. He did mention that the packages CAN NOT be bought on individual selected days. However if you have 3 sea days at the end of your cruise you can buy it then, with the minimum being three days. It also appears that you can’t buy just three days in the middle of a cruise, that when you buy the package it is for the remainder of the cruise, again with three day minimum. Thanks for question Chad. William is right, currently, you need to purchase the drink package for the “remaining days of your cruise” with at least three days remaining. So, in your case, you would need to buy the plan for days 7-14 of a two week cruise. Now, could you buy the plan, use it for a few days, and then try to cancel it. Perhaps, but there is no guarantee RCI would let you cancel it. 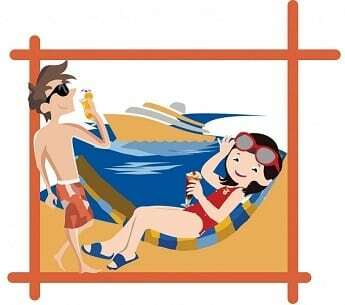 On some ships, RCI is now testing promotions for “single day” drink packages on select sea days. These are test trials, and there is no details about whether this option will be available on all sea days or on what ships and sailings they will try this deal. Appreciate you reading our post! $55.00 per day and you don’t serve Pinot Grigio???? Great review of the drink packages. Really like the fact that you included actually prices on your sample days. Makes it very clear to everyone. Thanks Joanne for reading and the comment. Honestly, the prices for drinks change on the ships based on the region of the country. 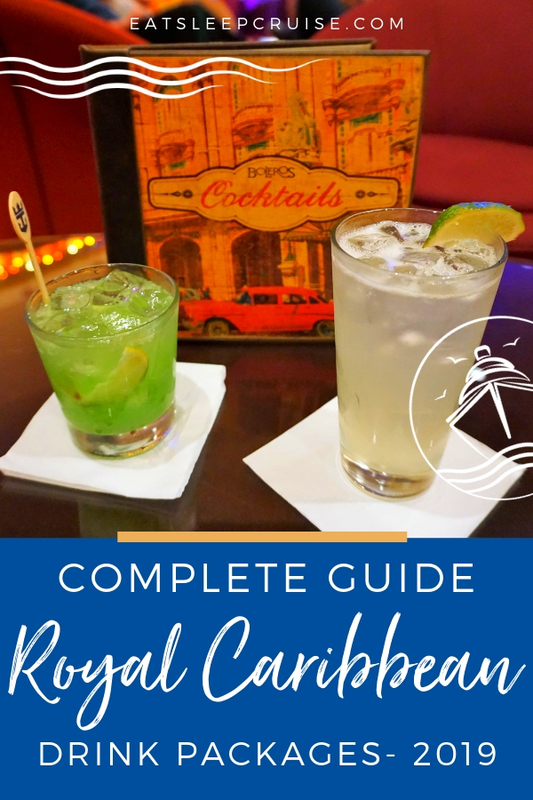 In our recent experience on two Royal Caribbean ships, sailing within two months of each other to the Caribbean, the signature cocktails cost $12 and are included in both the Premium and Ultimate drink packages. Most beers cost around $6.00 and frozen drinks were around $7-8. Of course, this can change as many bar menus now do not quote prices on the ship. Glad you found this information useful. Happy Cruising! You can also cancel the drink package if you tried it and not worth it for you, or if you do get ill. They will prorate the same way as with days remaining on your package. The day of cancel they will charge you for that day, unless you have not gotten any drinks and ask them to look it up for proof. Otherwise the drink packages are great. Thanks Joe for the info. We never had to cancel the package, but it is good to know you can do so and at least get a partial refund. Appreciate the comment and keep on cruising! If I go on a 7 night cruise and after 3 days decide I don’t want the drink package, can I get a refund for the final 4 days? Just returned from Majesty, today! Purchased the “Ultimate Drink Package” while onboard. I dont usually do this. But this was a spring break, almost Carnival like, Cruise.What a Bargain. Had a lot of fun. For a 3 night,not very expensive. Comes highly recommended from a “Seasoned” Cruiser! Thanks for the comment. Glad the drink package worked out for you Tim. We believe it is a great value, especially on short cruises! Appreciate you reading the post and weighing in on this topic. Happy Cruising! Thanks Dr. Hook for reading. We just checked our cruise planner for an upcoming August 2015 Caribbean cruise and the price quoted for the Ultimate Package is $64.90, which is the $55 dollars a day, plus 18% service charge, in USD. Same price breakdown for the Premium. Strange that you are getting a different price, is your cruise in 2016? Given the recent increase in drink prices fleet wide, it is only a matter of time until the beverage package prices increase. Appreciate the comment and keep on cruising! Our cruise is June of this year (2015). Perhaps there is some cruise-specific component to the pricing. My wife and I will be on our first cruise, a 5 night at the Independence of the Seas and I have some questions, I like to drink beer and wine I can easily drink up to 6 to 7 beers/wine per day I’m not so keen on spirits and my wife doesn’t drink to much maybe 2 or 3 mixed drinks, wine or beer, so Can I buy a “select” or “premium” package just for me and buy single drinks for her? Beer and wine included in these packages are available on all restaurants and bars or do I need to buy in certain areas of the ship regardless the packages? thank you so much. Hi Cesar, Thanks for reaching out. Yes, you can buy a package for just yourself. RCI changed this a few years ago as they used to require both adults in a cabin have the same package. So, you can purchase the Select plan, and no plan for your wife. The package works in any venue, so you can get beer and wine at the restaurants and bars that are part of that package. In the Select package, the wines are very limited, so the options might differ in the different venues, but if you are not too picky on the brand of wine, you should be all set. Let us know if you have any other questions. Happy Cruising! Hi Rhys, thanks for reading. We did not get the Select package, but I am pretty sure it includes all beers that are 16oz or less. On our sailing on Quantum of the Seas, there were a few craft beers/specialty beers that came in larger sizes that were not covered even on the Premium and Ultimate Packages. Blue Moon is a pretty common beer, and the Select Package does cover wines up to $8.00, so I think you should be good. Just check to make sure when you are onboard before purchasing the package. Appreciate the comment. When do you set sail on Anthem? Sounds like you got a great deal! Upgrading for the difference seems like a perfect option for your travel partner. Have a great cruise! Thanks so much this has been very helpful. I am cruising in August 2015 and i was debating on weather to get a package or not and this has helped me. I am going to go for it and try to keep track of all my beverages to see if i saved or not. Thanks again! Thanks for the piece. 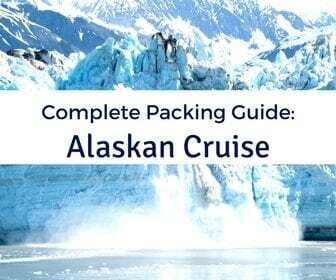 My family and I are taking our first cruise (Alaska) in July. I noticed you included bottled water & coffee. Is there no other water available on board? And are coffee and juice not included with breakfast? Thanks. Hi Ed Q. So sorry for the delay. Just seeing your comment now. Tap water is available on board, as is drip coffee, or what European’s refer to as “American Coffee”. If you want bottled water, or espresso coffee drinks (lattes, mochas, etc) those are not included in the cruise fare, but are part of the upgraded drink packages. At breakfast, they do offer some juices, and throughout the day unsweetened ice tea and lemonade are complimentary. For the remainder of the day other juices and sodas are additional charges. Hope this gets to you in time! Can you order wine during dinner with the package or does it need to be brought in with you? I could easily see myself drinking 2 glasses of wine at dinner, a drink before dinner, a drink before the show and one at the show if I had the package. Wondering if this would be worth it for me. Especially since i could get coffee and OJ in the morning. I would love to see current bar menus from the Oasis! Hi Iboyer, Thanks for the question. Yes, with the drink packages you can order wine at dinner. The drinks packages can be used anywhere on the ship. Just keep in mind that wine options are different at every venue. If you do the classic, at dinner you will be very limited to what types of wine you can get. Even with the Ultimate, which covers up to $12 a drink, the varietals and brands available will vary in each venue, and may even change night to night in the main dining room. We used our drink packages multiple times at dinner to get cocktails and wine and never had an issues. Have a great cruise! Anytime. Thanks for stopping by and reading the post. Have a great cruise. Let us know how you make out with your drinks onboard! Are you sure you can get this package on a three night cruise? I’m going on Enchantment for three nights in October. On the RC website, it says this package is available for cruises four nights or longer. Hi SteveC, sorry for the delay. Yes, you can get a drink package on a 3 night Enchantment of the Seas cruise. We literally just went on that same cruise this past March and both got the package. 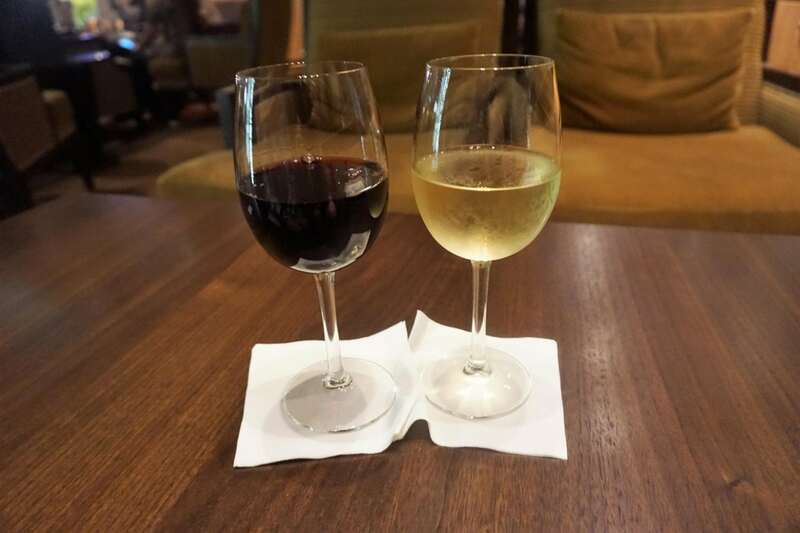 We do a comparison of our experiences on that cruise and a longer cruise to show how these packages compare on short vs long cruises (https://eatsleepcruise.com/2015/04/compare-cruise-drink-packages-short-vs-long-cruisesn-drink-packages-on-long-vs-short-cruises/). There were actually a lot of people getting the drink package on Enchantment and the bars were always pretty busy. Have a great cruise! Great review on the drink packages. Just booked a cruise on Anthem of the seas. On Celebrity I could bring a case of water on. Can I do the same for Royal Caribbean? Thanks Cindy for reading and the question. Many individuals do bring a case of water onboard- some cruisers just put a luggage tag on the case of water and check it, or place it in a duffel bag. Honestly, we have not done this personally, but know many people who have been able to bring bottled water with no problems. According to RCI’s policy, they can inspect containers to ensure you are not trying to smuggle alcohol onboard. So, you should be fine with the water. We will be sailing on Anthem of the Seas in April 2016, when do you depart? We are sailing June 16, 2016. I will be anxious to see how you make out. So far I have not been able to sign up for any dining or entertainment. Thanks Tiffany for the comment. It does seem like the policies are enforced unevenly, especially if one of you brought water on and the other one was “tagged”. 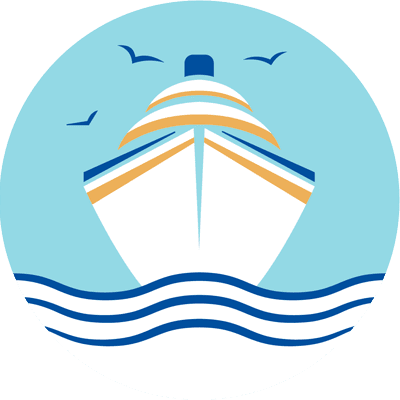 It seems the new “official” policy on RCI is that “Guests are not allowed to bring beer, hard liquor, fortified wines or non-alcoholic beverages onboard for consumption or any other use on boarding day or while in port. Alcoholic beverages seized on boarding day will not be returned”. Cases of water have always been a wild card, that is another reason we purchase a drink package that includes water. Have a great cruise on Freedom, it is a great ship! Thank you for your reply!! Your break down is very helpful!! 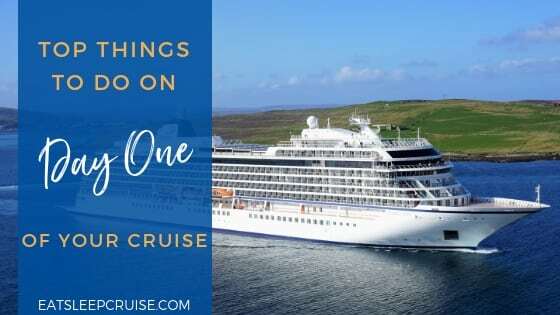 I just finished purchasing the Ultimate for a 4 night out of Tampa March 2016, this is our 4th cruise and I can tell you sitting around the pool can be costly if you need to pay per drink, so now we get the package and have less to worry about. I love the breakdown which you have provided above however on another site it stated that no coffee products from Starbucks were includes in any of the packages. I like an good iced coffee in the morning versus something hot and while it isn’t a big issue I would like clarification. Thanks and Happy Sailing. Citrus County Jeep Life sailing March 31st Tampa. Thanks Michael for the comment. I am glad you found the post useful. You are correct, the coffee at Starbucks is not included; however, Starbucks is only found on a few ships (I believe just the Oasis class). On Quantum there was a cafe that served Starbucks brand coffee, and on Enchantment the coffee shop there also brewed Starbucks. Neither ship had an “official” Starbucks, so the lattes and premium coffees on both of those ships were included. Hope this helps. Hello! I am planning on going on a 4 night cruise in March. When purchasing a drink package do they charge you for the 4 days that you’re on the ship? Or do they charge you for the 5th day when you reach port at 7am? Thank you! Hi Ameila. Thanks for reading. Great question. The drink package is paid per night, so no the fifth day is not “included” and you are not charged for that day. However, we have found that you can still get bottled water and specialty coffees (depending on the package you buy) the morning of disembarkation and we have never been charged. So, you may be able to squeeze a few more drinks out of the package that day. 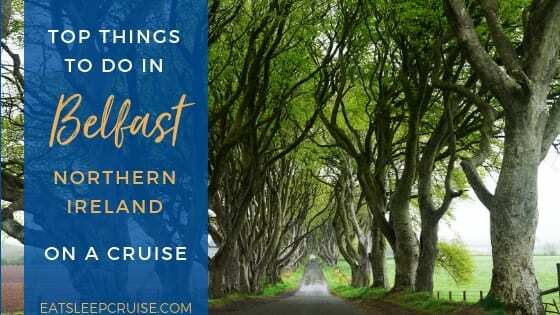 We have never tried to get alcoholic beverages, as we do get right off the ship, so not sure if those would be included on that final morning. Have a great cruise. Thanks Steve for the concise answer. Thanks for all the great info on the drink packages! I read that they do not allow you to buy two drinks at a time. How stringent are they with this rule? Meaning there’s no way to have a bottle of water with your alcoholic drink as your poolside? Also is there some kind of time limit on the card, for example could you grab a water in one location on the ship and then grab a beer at another a couple minutes later? We’re sailing on Freedom of the Seas in February and I’m still weighing the pros and cons of these packages. Although this blog has been a big help. My experience is that the bartenders are not too concerned with bottled water – some of them don’t even swipe your card. I did not try ordering a drink + water at the same time; what I usually did was walk by one bar, get a water, then go to the next for a drink-drink. To your next question, I was able to do the same routine for alcoholic drinks as well. No bartender ever said anything about my last drink being only X minutes ago – I doubt they are looking too closely at that. Certainly a timestamped audit trail does exist, but I’d guess the cruise line only pulls that out if they suspect egregious abuse of the drink plan. Does anyone know if Crown Royal Regal Apple is served onboard RCCL’s Enchantment of the Seas? Hi Gloria. Thanks for reading and the question! 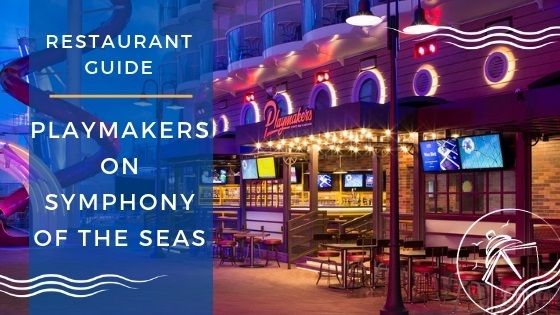 My suggestion would be to contact Royal Caribbean and see if they can get your request to the Food and Beverage manager on Enchantment of the Seas. Normally, on a longer sailing you could speak to the manager on day 1, and they would try and accommodate your request at the next port of call. Given that Enchantment does short sailings, you probably would need to put the request in before the sailing. Please let us know how you make out. We sailed on the ship earlier this year and had a blast! Enjoy your cruise. Thanks for putting all this together. It makes figuring it out much easier. When we cruised last February, they ran a special the day we boarded of buy one package, get the second half price. This made it even easier to decide! The only problem is that they would not refund the difference to people who prepurchased their packages. I have three cruises coming up in the next year and I will not be purchasing anything ahead of time in case they do this again. Just an FYI. Hi Lisa. Thanks for reading! Appreciate the information about the deal you got. Sounds like a great money saving offer and I hope one cruise they run that promotion when we are onboard! We do always purchase the drink package onboard, so we agree with your recommendation. Where are you going on your upcoming cruises? I have a question about the drink packages. My boyfriend and I are mostly beer and wine drinkers. I see that if we get the select package it does include beer and wine which is awesome. However I am seeing that the beer and wine is limited. My boyfriend really enjoys craft beers. Are the beers that are offered on this plan primly domestic (coors, bud light, miller, etc) or can you find some quality beers on this list. As far as the wine, is it cheaper wine? My other question is I see that I am allowed to bring 2 bottles of wine with me on board. Is there a way to chill it? Will they store it for me, and can I bring it to dinner? I wanted to bring a couple of bottles of champagne with me to enjoy, preferably at dinner. I don’t to pack them if there is no way to chill it. Hi Jes. Thanks for reading and the great questions. The Select Package includes beers up to $6 and wines up to $8. For beers, this will include basically all the beers onboard, except for some high end specialty beers or larger sized beers (e.g., Fosters large cans). From our experience, most ships have a limited number of craft beers, and the selection changes throughout the cruise. Getting either the Premium or Ultimate plan really wouldn’t affect your options for beer, so your boyfriend should be fine with the Select. The wines on the other hand are very limited at the $8 range on the select. It is basically house wine, and the brands and varietal vary greatly. If you are a wine connoisseur, you would probably be better off with a Premium package. What time of room do you have? Most rooms have a small refrigerator where you can store the champagne. You can also ask your stateroom attendant for ice to keep the bottles cold. If you bring the bottles to dinner, and do not finish them, then your waiter might store them for you. They do store unused bottles you purchase from the bar, but I am not 100% sure if they will store the remaining champagne from a bottle you bring onboard. Let me know if you have any other questions. Happy cruising! Thank you so much for your response! It was very helpful! With what you said, does that mean that it acceptable for me to bring my own wine to dinner? Thank you so much! You are welcome Jes. Short answer is yes, you can bring your wine. Most likely they will store it for you as well if you do not finish it during the meal. Thanks again. On a recent Greek isle cruise, they offered a 30% discount on drink packages on embarkment day. It was set out outside the windjammer. I was told they didn’t sell enough packages , so were trying to get more sold. Our cruise this January 2016, I have told the kids to wait until we are on board to see if there are any deals like this, as you are able to purchase a prorated package anytime three days prior to sailing. Thanks William for the feedback and for reading the post. We have heard that occasionally, drink packages do get discounted, so we also always wait to purchase until we are on-board. One thing to be careful about is buying the package in certain ports, as you maybe charged sales tax in some home-port cities. It has not happened to us, but we heard others have been charged local sales tax when buying the package, or even buying a drink. Happy cruising! $55 per day for the ultimate drink package….. So why is it $65 per day for RC cruises leaving from Australia? Hi Judith, Thanks for reading and the comment. Just recently RCI increased the price of the drink package. We are in the process of updating the article to reflect the new pricing. Also, keep in mind the prices here are in USD, so depending where in the world you are sailing, the amounts may vary due to currency conversions. Appreciate the question. Happy sailing! Thanks for the reply, I am sailing on the Legend of the Seas on a South Pacific cruise and all the prices quoted for this cruise are in US dollars, so even before the price rise there still seemed to be quite a discrepancy in the price of drink packages. I will be interested though to see the new price list. Hi, I too have asked the same question, I wrote to Royal Caribbean, but am yet to get a reply. The 2016 rate is $US49 for Premier, and $59 for the ultimate. Based on XE (yes well aware it fluctuates daily – I actually keep a close eye on it) that amounts to $AU65.88 for Premier and $AUD79 for Ultimate. According to RC Australian site, it is $74 for Premium and $87 for Ultimate. So, if we pre-purchase, we will pay for 2 packages almost $200 more than US or UK passengers!!!! So, there is absolutely NO incentive to pre-purchase, correct? Does anyone have experience with sharing a drink with someone else? I know it’s not “allowed” but I will only have 1 drink/day (I’m breast feeding) while my husband will have the ultimate package. Should we just buy my drink? Or can he get me one fairly easily? Thanks! Hi Morgan. Thanks for reading and the question. It really depends where you have the drink. If you both order a drink at dinner, then you will be charged by the bar service for your drink. If you are at the pool deck, and your husband gets a drink at one bar, then goes to another bar to get you a drink, he will not be charged. Same holds true if you go from one bar to another on the Promenade. While we don’t recommend doing this on a regular basis, I know from personal experience that this is possible. Hope this helps. Have a great cruise. Hi we are going on VOTS on Jan 22 2016 and was wondering is filtered water free on board and can you refill your own water bottles? Hi Gabriella, Thanks for reading and I appreciate the comment. Not sure what you mean by filtered water. At the bars, restaurants, and on the pool decks ice water is available as part of the cruise fare. You are not allowed to refill your water bottles directly. You must use a cup provided by RCI, fill it with water, and then use the cup to refill your water bottle. This is for sanitation reasons. We have done this before and it is easy to do. Let us know if you have any other questions. Have a great cruise this week! does anyone know with the ultimate package on the anthem of the seas if the bionic bar is covered? Or Michaels Pub? Just making sure the ultimate includes everywhere. Also we are will be sailing for xmas and new years with kids. Do they do anything special for the holidays? Hi Joe. Great questions. We sailed on Quantum of the Seas and know that the drinks at Bionic Bar are covered. Also, most drinks at Michael’s Genuine Pub are covered-there are a few extra large size beers on the menu that are not included in the package, and there are a few wines that are not covered. Neither are the whiskey flights. 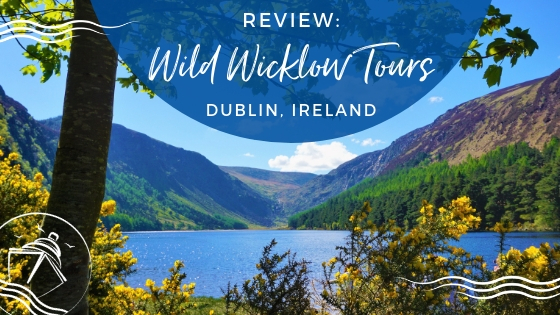 We have a review of that venue, complete with menus (https://eatsleepcruise.com/2015/02/quantum-seas-michaels-genuine-pub-review/) from this time last year. Around the holidays, the ship is decorated and there are some special activities geared toward the holidays. All of the main shows stay the same. On the actual holidays, there are usually specialty menus on the ships featuring holiday favorites. We would love to hear about your experiences on the ship as we have never sailed around Christmas time. Hope this helps. Appreciate you reading the post. This blog post has been so helpful! My boyfriend and I are going on the Harmony of the Seas next week out of Barcelona and it is his first cruise, my second (but it has been 10 years since my last). We were unsure if he should get the Ultimate Package since he likes iced coffee a lot and of course several alcoholic drinks at night. Oh and he drinks water like a fish. I have been searching all over for pricing of individual drinks and info on if the Bionic bar is included. So glad I stumbled across this post! It is hard to really compare pricing if you can’t find drink pricing! Thanks so much for clarifying all of this! Hi Krystle, thanks for the kind words and comment. We are glad you found the post helpful. We are interested to see how the prices compare as when you are sailing in Europe, everything will be in Euros, not USD. The packages have gone up slightly since this post, but so too have drink prices, so we think the math should compare. We sail on Harmony of the Seas in January and we plan on doing an entire post about the package after that sailing. Please do report back about your experiences on the ship. Happy sailing. Hi, if you go on the smaller boats what soda’s are available? I am told they do not have the 100 different flavors on the smaller boats. I try to stay away from the regular drinks so will I only have one choice for diet sodas? Hi Carolyn, you are correct not all of the Royal Caribbean ships have the freestyle machines. What ship will you be sailing on? If the ship does not have a freestyle machine, then you have the typical coke, diet coke, sprite, ginger ale, etc. I believe that is all. Here is a list of the ships that have freestyle machines as of the Fall 2015. Let us know if you have any other questions. Happy sailing! Appreciate the comment. Hi, we are on Anthem of the Seas on 21st January. I am thinking of the Royal Replenish Drink Package. One question: is the bottled water unlimited in this package? Thanks in advance and keep on cruising. Hi Florian, Thanks for reading. Great question. Yes, the bottled water is unlimited in this package. Our mother recently used the package on Adventure of the Seas and enjoyed unlimited bottles of water, along with the other included drinks. There were never any issues using the plan. Have a great cruise. We are sailing on the majesty of the seas in June. I was wondering if we can use our on board credit to purchase the drink package once we board the ship? Hi Shana, Great question. The short answer is yes, you can use your onboard credit (OBC). Essentially, your onboard credit applies to all purchase made onboard. You can not specify what you want to use the OBC towards, it just comes off your bill. Have a great cruise. We have yet to sail on Majesty, so we would love to hear your take of the ship. Happy Cruising. Hi Brit, Great question. Sounds like you are doing a 4 night cruise. If that is the case, you would only have to pay for four days. In our experience, the morning of disembarkation (which you label Day 5) our drink packages have covered specialty coffees. So, even though you don’t pay for that 5th day, the drink package still work. However, we have not tested this out with alcoholic beverages, so not sure if it applies or not. What ship are you sailing on with RCI? Hi Brittany, Thanks for reading. It is a tough call. For the most part, you have to average about 6-7 alcoholic drinks a day to break even. Then, any bottled water, soda, or additional alcoholic drinks you consume within the plan are the “extra value”. On sea days, it is probably much easier to hit these numbers than days in port. That said, we routinely drank 8-10 waters a day (and I a few sodas) so we ended up saving. How many port days do you have on the Brilliance? Hey guys. Just got off the phone with a rep from Royal Caribbean who was most helpful explaining the drink package. Here it is. The Gratuities are NOT included in the package. You WILL PAY an 18% gratuity on EACH DRINK YOU ORDER. Not the price of the package. So if you order the ultimate package for $59/day. You do not pay 18% on the $59/day price. You pay it on EACH DRINK. These are the facts. If the 18% gratuity is not included, then that’s a brand new policy. I just got off Freedom of the Seas on February 21st, having had the $59 package. All my drink receipts had “18% gratuity included” written clearly on the receipt. Although there is a space to tip an amount of your choosing on top of that 18%. Furthermore the only charges to my Seapass account as far as tips went were those $1-$3 additional tips that I left throughout the week. Thanks Chris for the update. We are sailing next month on Anthem of the Seas and will see what the pricing is like for the beverage packages. In the meantime, we are going to contact the Crown and Anchor Society to see if the service charge policies have changed. Appreciate the comment and info. Thanks Kdizzydaze for reading and the comment. 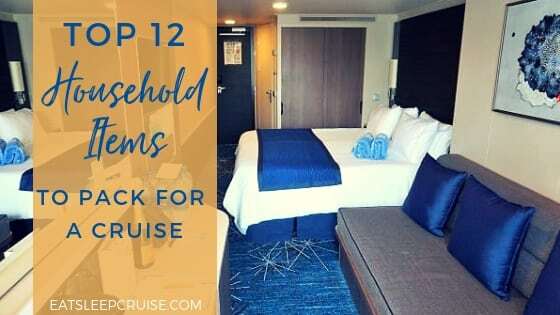 We have checked numerous upcoming bookings we have for RCI and all of them include the 18% service charge if you go to purchase the drink package as they have for previous sailings. We are going to contact Royal Caribbean for clarification to see if this a new policy.We will be sailing on Anthem of the Seas next month and see if this new pricing structure is in effect as we plan on purchasing at least one drink package. We will report back and update this post. Thanks. Great to have all of this input. We have never thought to get the drink packages before due to more city/island visits than sea days. However, at the end of April we are going on our first transatlantic cruise that will have 8 sea days, then a couple of more in between the places we visit. My questions are 1) after 8 days, would it be OK to stop the package and get a refund for the difference in days and 2) we do enjoy a couple of cocktails prior to dinner, wine with dinner and perhaps an after dinner drink. We also may have a drink during the day and at a show. Would you think for this particular cruise, the Premium package would be worth it for both of us? 3) They are offering a 20% discount off each package but it was still higher than what was advertised. I am thinking the service fee is added to it when in the final cart because my calculations certainly were not the same as theirs. We are 15 days, so I know to multiply by 15! 4) I get the impression that you think it is a better idea to book it onboard. I just am concerned that it will be difficult to get it on our account on time to take advantage of our first drink! Or maybe it is still going to count for the full day… thanks for future replies!!!!! My experiences have been that one needs to accomplish dedicated, sustained drinking in order for the package to make sense from a financial standpoint. But from a psychological standpoint, the package is nice because you aren’t making value decisions on a drink-by-brink basis (e.g., Is this $12 cocktail worth it vs a $6 beer). And it’s always nice to be able to grab an overpriced bottled water without a care. Thanks Dr. Hook for your always thoughtful comments. We agree, there are both financially and psychological benefits to using the drink package. We showcased our experiences on vacation. It is not always about trying to get your moneys worth. There is also the nice feeling of knowing how much things costs and not having to worry about the bar tab. Now, RCI is doing some specials where the prepaid package is 20% off for some sailings. This might make it an even better deal for those who are heavy drinkers. Appreciate the additional thoughts. Happy sailing. We’re cruising on the Harmony in June with kids–one who will be 4. How stickler are they if both adults have drink packages and we order her a juice or bottle of water, too? I’m not planning on getting her a drink package at this age…also, if there is a Starbucks on board, will there be OTHER shops that we can get our espresso-based drinks (that are included in the packages)? Thanks! Hi HC, thanks for reading. With the package you are allowed one drink per card, per transaction. Doesn’t matter what that drink is as the computer only allows the staff to input one drink at a time for someone on the drink package. You are not allowed to buy someone else a drink. So, say you go to the bar to get two drinks for the adults, and two bottles of water for the kids. You have two cards in your hand for the adults that have the drink package. Your alcoholic drinks will be covered, but they will charge you for the the two bottles of water. But, if you go to the bar and get one adult drink and one water, you are fine. If you then give the water to your kids, odds are they won’t say anything. Are you sailing on Allure or Oasis? Those are the only two ships with official Starbucks onboard. On those ships, the drink package is not accepted at Starbucks. However, the Cafe Promenade does make lattes and specialty coffees that are accepted with the Ultimate Drink Package. Some ships, like Anthem of the Seas, have cafes that brew Starbucks coffee. At those shops, the drink package does work. Let us know if you have any other questions. When do you set sail? Have you found anything definitive on the issue of the service charge either being included in the package price, or added to each “free” beverage ordered? It seems like RCCL can’t give the same answer twice, and the information on their site is contradictory as well. Hi Eric, Thanks for the question. The gratuity is included when you buy the package. We just got back from a 5 night Anthem Cruise and bought the package pre-cruise. We were never charged a service charge once onboard. All receipts came up zero. They will not double charge you. You pay the service charge based on the total cost of the beverage package you purchase, not per drink. Sorry for the delay getting back to you, I hope this helps. Happy sailing. I’m booked for a 3 day on the Enchantment next Jan. The website offers the drink packages and says they are 20% off. It states the Premium for 46 and the Ultimate for 48. I have tried to calculate from the regular prices and these numbers seem off. The 46 for Premium– includes the 18% gratuity? The 48 for Ultimate seems less then it maybe should be. What’s up? we are sailing on the adventure of the seas on Nov 14, i purchased the premium drink package while it was on sale for 44.00 plus 18% gratuity for a total of 51.92 per day and right after i purchased it they changed it to included coffees and stuff making it essentially the ultimate drink package, theres no way to go wrong with this package! Hi Tricia, we agree, nothing wrong with that at all. Taking advantage of the 20% discount and then getting the upgrade is an added bonus. Thanks for sharing your good fortune with us. We do recommend getting the package early, especially when it is on sale. Have a great time on Adventure. We sailed on her last year and had a blast. Let us know how your cruise turns out when you are back next month. Happy sailing. This is a great article. I really love the way all the drinks for a day layout ow much one would actually spend. So many people when determining the value of the package focus solely on the alcoholic drinks. Just bottled water alone can add up to $10 per day. Hi Brian, thanks for the comment. Glad you found the breakdown useful. You are correct, the benefits of the beverage packages can go well beyond just the alcoholic drinks. When is your next cruise? Jan 29 on the Allure OTS. I had booked the drink package on special 25% off, but I just re-booked t because they are offering the drink package and Voom for only $5 per day extra. We will be cruising on Allure this summer. Is there a place to get mochas and lattes with the drink package? I heard Starbucks does not accept the drink package on the Oasis class ships so I’m trying to figure out if the drink package is worth it for an espresso junkie. I’m not sure if they have other coffee shops on Allure. HI April, great question. Yes, the Deluxe Beverage Package works at Cafe Promenade. You can get lattes, mochas, cappuccinos, and other espresso-based drinks there and they are covered in the package. It is found on the Promenade on Deck 5. Happy Cruising. I am so excited about our upcoming cruise … our first ever!! Just reviewed the beverage package and I will be signing up for the full alcoholic beverage package. My wife does not drink any alcoholic beverages but will probably purchase the basic beverage package. Your policy states everyone sharing a suite has to purchase the beverage package. Can your policy accommodate our circumstances? Hi John, Thanks for reading and the question. You will need to contact Royal Caribbean. The current policy is that both individuals in the room have to purchase the same beverage package. So, if you purchase the Deluxe Package, your wife needs to do the same. There are some exceptions, but these usually require a medical note from a doctor. Let us know if you have any other questions. Happy Cruising. Hi. I hate to beat a dead horse but…I plan to buy the refreshment package for my two children but not buy any drink package for myself. Will they allow that or do we all three have to have a package? Also, the kids love to drink virgin pina coladas. Would those be included in the refreshment package? 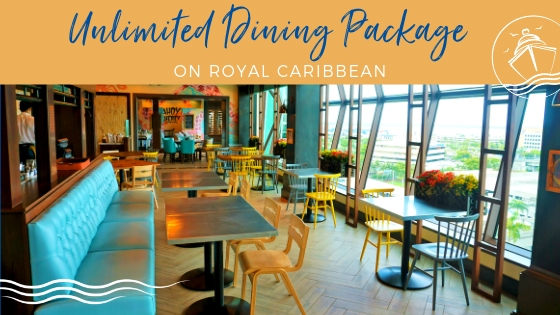 Did Royal Carribean give you any perks being a blogger? we are cruising the Enchantment in Jun. we purchased the deluxe drink package. question: with this package can I order memosa’s for breakfast and would my drink package include the gratuities?